According to the Hollywood Reporter and FUSE, Cee-Lo Green of Goodie Mob and former star of The Voice, landed his very own six episode reality show “The Cee-Lo Life,” which is set to document Goodie Mob’s reunion. Goodie Mob formed in 1991 and their debut album “Soul Food” was released in 1995. 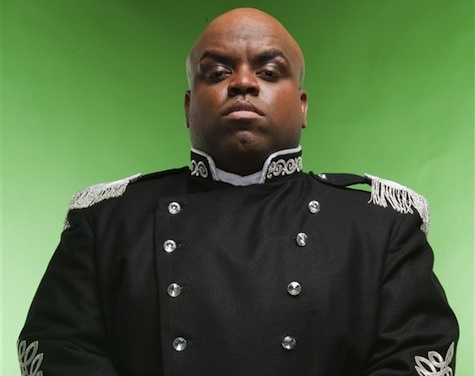 Three albums later, Cee Lo left the group in 2004 to pursue a solo career. 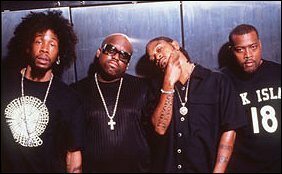 Goodie Mob released “One Monkey Don’t Stop No Show” that same year (minus Cee Lo) and had poor reception from the fans with Cee Lo absent and led to Big Gipp leaving the group. The last album in 2005 “Livin Life as Lumberjacks” was released by T-Mo and Khujo under the name The Lumberjacks, which was the original name of the group before the addition of Cee Lo and Big Gipp. Then after years apart, a reunion album “We Sell Drugs Too” was planned for a 2011 release but never happened. “Age Against The Machine” is the new title of the reunion album and is scheduled to be released on June 18th. This entry was posted in Gossip and tagged Atlanta, cee-lo, Cee-Lo Green, goodie mob, The Voice. Bookmark the permalink.